In what was another amazing week for the Rebel Federation, nearly everyone in the army did a fantastic job. Whether it was during the action packed weekend, the 70+ US event on Tuesday and even the festivities of April Fools! There were many good nominees, just like last week, but the winner of the 85th Troop of the Week is…. 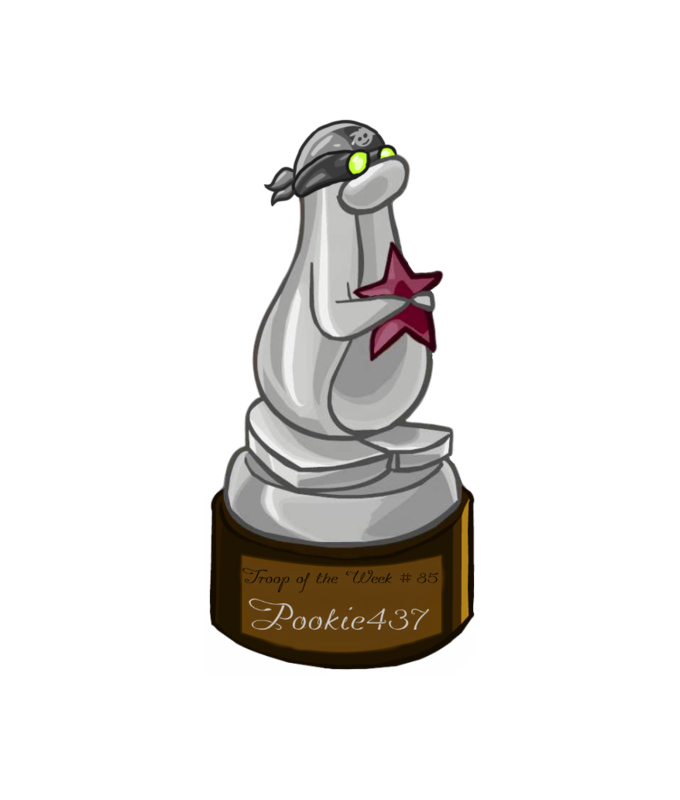 Pookie437 joined the army all the way back in late 2013, at almost the same time as me. I had the opportunity to spend some time ranking up with him, and when he left in 2014, his absence was surely felt. I was surprised to get a DM with him 5 years later, and when he decided to rejoin I was super happy. I was shocked to see how good of a troop Pookie was despite the time he had been away. He is super active on chat, comes to every event and certainly helps us become stronger. I fully expect him to climb to the top of the ranks, and I think this award will serve as a good starting, or restarting point, to a legendary career. Well done.